Part of being a successful blogger is choosing successful tools. A professional looking blog will help you to forge credibility with your followers. Yes, its clean layout and user-friendly design would impress your readers and brands as well. 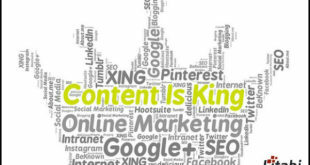 I have been blogging since 2010 and still experimenting the advanced strategies to perform well on the search engines. Earlier, I used the blog spot blogging platform but once I made my mind to become a Pro Blogger, I have immediately moved to WordPress CMS. However, with the recent surge in popularity of blogging, there are thousands of blogging software applications popping up on the Internet every month. If you are a newbie who would like to get into the Blogosphere, how do you know which software to choose? You don’t need to worry; I’m here to help you choose the excellent one so that you can get a great web presence and huge profits as well. 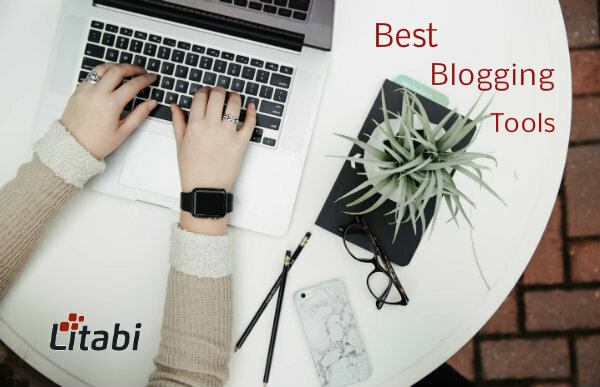 Yes, my compilation of the 4 top blogging software tools will help you to choose the platform that is right for you and your brand. WordPress is the Granddaddy of all internet blogging sites and is by far the most popular platform. The .org component of the platform allows content creators to tailor the user experience of their blog with custom plugins and themes. The downside of using WordPress.org is that you will have to find your own web host This can be an onerous task for new bloggers, although economical options are available. Some even offer a free domain name with your purchase. WordPresses’ free version is their .com counterpart. WordPress.com allows bloggers free web-hosting, a custom domain name, and the ability to include their social media links. You can create a unique look for your blog, although the option to include custom plugins and themes is not available with the free version. Both the paid and free versions of WordPress allows users to view their blog’s analytics to determine what kind of content converts best on your blog. If you are new to blogging, then WordPress.com is a great option to test and taste the waters of the blogging world. While lesser known, Ghost is a jewel of the blogging world for those with coding know-how. This open source platform allows for complete blog customization and clean, easy-to-use interface. Another helpful component of Ghost is their real-time preview of any post of the page you create. This allows you to see right away if you have made an error in your coding. Like WordPress, the Ghost publishing medium also offers SEO and social sharing features. But, it has Markdown editor for writing the content. Even though its design is fully responsive, its Dashboard is not so compact which would make you less comfortable. Nevertheless, you can adore its effectiveness and visual vibrancy. If you are running a blog for a business, Drupal is a great option. Drupal has been around since the early days of blogging in the early 2000’s and offers a comprehensive content management system that manages all of your blog content, other web pages, and social media posts all from the same platform. When web pages to SEO, security, and high traffic, Drupal can do well as the WordPress do. You also don’t need to worry about the page loading speed since it makes the site faster. You will get excellent control options and plugins to add the features to your blog. Like many other platforms, Drupal does not offer free web hosting and yes, you need to purchase hosting from another source. The latest version of Drupal has flexible backend features and hence the marketers and developers can make use of it. For those looking to reconnect with the old school, thought sharing, online journal type of blogging, Medium is just the ticket. Medium is a platform for bloggers to share their thoughts with an online audience and comment on other’s content. Like other platforms, Medium shows users viewing stats on all their posts, but also offers an option that is unique to this platform. It shows users the estimated time it will take them to read through a given post, allowing readers to pick and choose the content they are exposed to depending on length. Given this information, you can tailor the length of your posts to attract the maximum amount of readers. You can also follow blogs that post content similar to yours or topics and other users you enjoy. If you know how to code, you can customize the HTML and CSS on your blog. Medium is an excellent platform for users looking to get back to blogging basics and be exposed to like-minded bloggers. However, it is somewhat tough to build a brand awareness for your business with this blogging platform. Also, you cannot monetize your blog with ads and make money. Last but not the least! Blogger, the best free blogging platform of Google. If you want to blog just for your passion or don’t have the money to invest in hosting and themes, you may go with Blogger medium. Sign up with your Gmail account and go the “Settings” option to publish your content. However, as you are sharing the server and resources with other blogs, it wouldn’t be favorable when you start growing the visitors. Also, you do not own the blog (Just the content is yours) and hence your account will suspend when you violate their terms. Navigating the various blogging platforms and software available on the Internet can be confusing to even the most experienced branding expert if you don’t know what you’re looking for. The platforms discussed in this post offer something for every type of blogger, from beginners to marketing dynamos, to those just looking to create thought provoking content. With this list as a starting point, you are sure to find the software that is best for your blog. Which one would you like to choose? Share your views in the comment section!